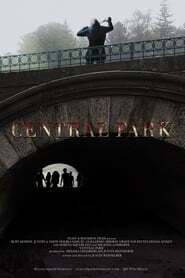 Central Park is a unique, genre bending thriller/horror film that spans one night in the worlds’ most famous park. Six best friends, high school students, prepare for a night of fun. School is boring, family life unbearable, and Harold and his friends have turned Central Park into their ‘spot’. Young and invincible; Harold and his crew own this city. Unbeknownst to them, a revenge-seeking executioner prepares to kill them off one by one to pay for the sins of the father.